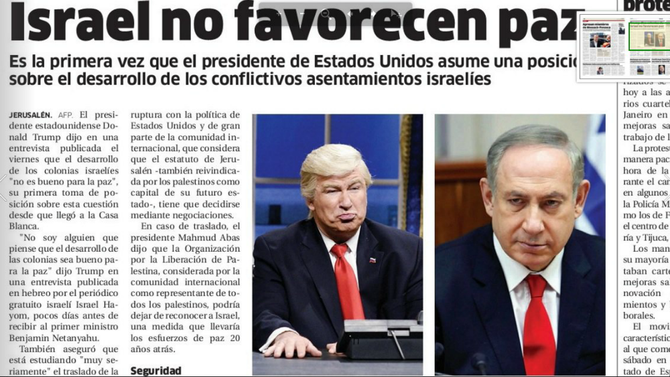 Dominican newspaper El Nacional accidentally used a picture of Alec Baldwin's SNL impersonation as a picture for Donald Trump when running a story about Trump and Israel. Oops. Despite the apology, expect to be invaded sometime this year, D.R. Sorry. The New Yorker’s Raffi Khatchadourian discusses the future of the interactive film genre of video games, with a particular focus devoted to Sam Barlow, creator of 2015’s Her Story. For today's musical hit, we have le tigre's "Keep On Livin'"
Today's critical rolls: We're into the interactive genre. Insert your own critical roll here!